Where will the Haitian President find the money to finance all the major projects he keeps on promising? Haitian President Jovenel Moise has big dreams for his country and the Haitian people. Dreams which he has not not stopped sharing with those willing to listen whenever he gets an opportunity to be in front of a camera or a microphone. During his visit to Miami last weekend, President Moise again shared some of his best dreams for Haiti with the Haitian diaspora; These dreams that captivated his audience, Moise promised to transform them into realities during his presidency. - An 80 kilometers expressway to decongest the capital city of Port-au-Prince. This new modern highway will not cost less than $500 million according to President Jovenel Moise, who also made it seem that the study for such a major project has already been conducted and everything is ready for the construction site to be launched. -"We will have electricity 24/7 in less than 24 months." Promised Jovenel Moise to the Haitian people at the Little Haiti Cultural Center in Miami on Saturday. This around the clock electricity that is about to come on the way of the Haitians will come from clean energy according to the President. No more oil. Some 600 megawatts of electricity will come from solar, wind, natural gas, biomass and transported on a brand-new grid. Keep in mind that the state run company that currently produces, distributes and sells electricity in Haiti (EDH) is the most incompetent and bankrupt of all the Haitian government agencies. Every year for more than a decade EDH has a deficit of over $500 million; a deficit which the Haitian government has had to cover every time to keep it afloat. Does the government of Jovenel Moise has a plan to put a stop to that bleeding before talking about new energy projects? 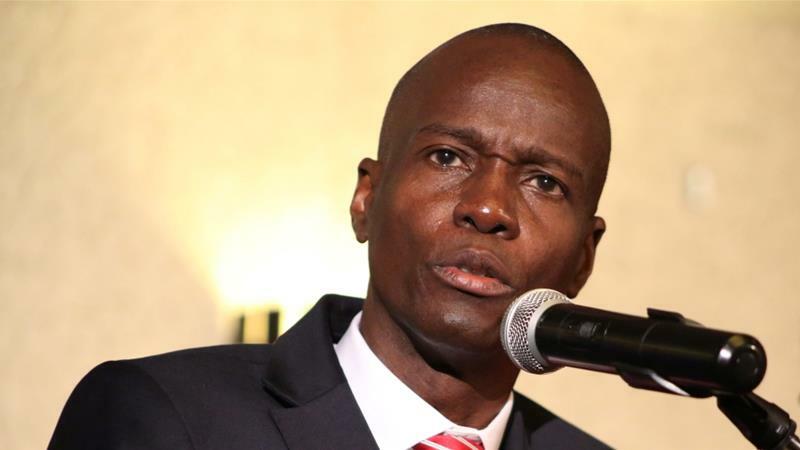 As the dreams of the President get more and more grandiose, one has to ask where will he find the funds to finance them, because since he has taken office as President of the poorest country in the Western Hemisphere on February 7th 2017, Jovenel Moise has touted numerous important projects , totaling billions of dollars, which according to him will be completed during his 5 years mandate, without explaining how his government will pay for them. -A cable transportation system will connect the northern fortress of the Citadelle to the private beach operated by the Royal Caribbean Cruise, Labadee, so that tourists can pay some money to experience the largest fortress in the Americas, promised Jovenel Moise during his inauguration speech. -The national Palace which was destroyed during the devastating 2010 earthquake is going to be rebuild before the president completes out his term; in fact he is waiting for the report of a seven members commission to work and reflect on the reconstruction of the official residence of Haitian heads of state. -A new dam is also on the list of the President. President Moise talked about the study of a dam on the gray River that has been done long time ago, but never implemented. The president would like the dam to materialize during his term of office because, according to him, the Haitian government holds about 15,000 ha of nearby land that is currently wasted. Haiti certainly needs leaders who think or dream big, but what Haiti definitely doesn't want and unfortunately doesn't lack, are leaders who keep on making empty promises.